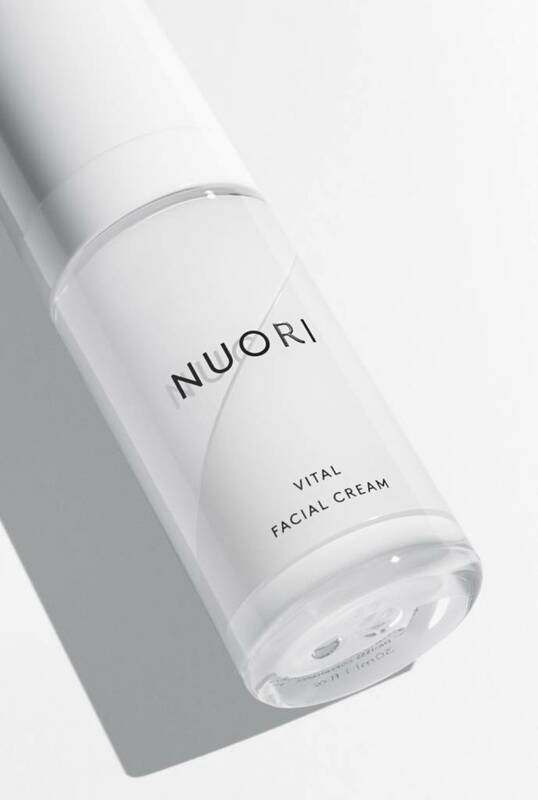 NUORI's Vital Face Cream brings back the skin’s vitality and helps prevent and reduce first signs of aging. 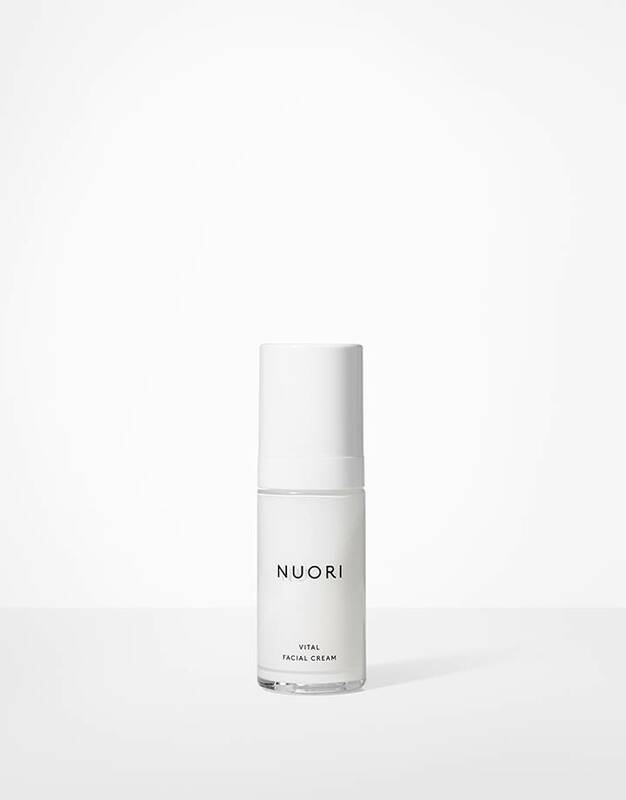 Formulated with hyaluronic acid, known for its powerful hydrating action, the cream restores the skin’s natural moisture levels. Botanical squalane, jojoba oil, and sweet almond oil nourish skin, leaving it smooth and supple. A complex of shea butter, vitamin C, and vitamin E offers antioxidant protection. Easily absorbed, this cream is ideal for under makeup or alone.